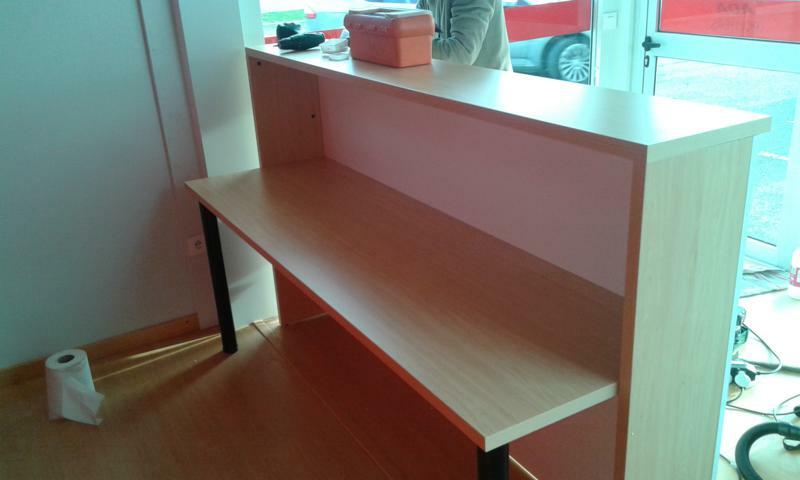 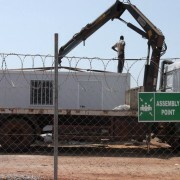 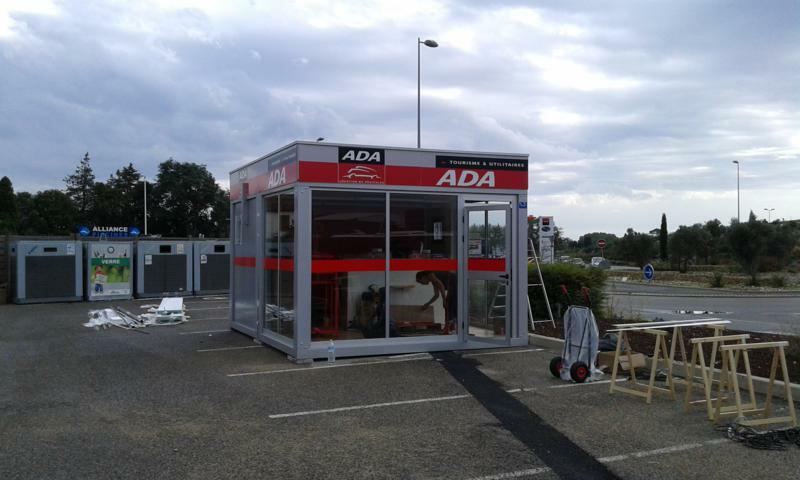 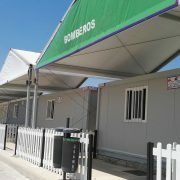 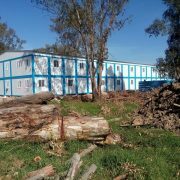 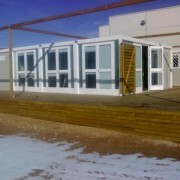 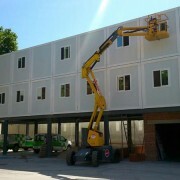 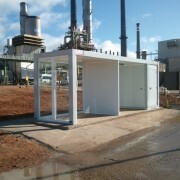 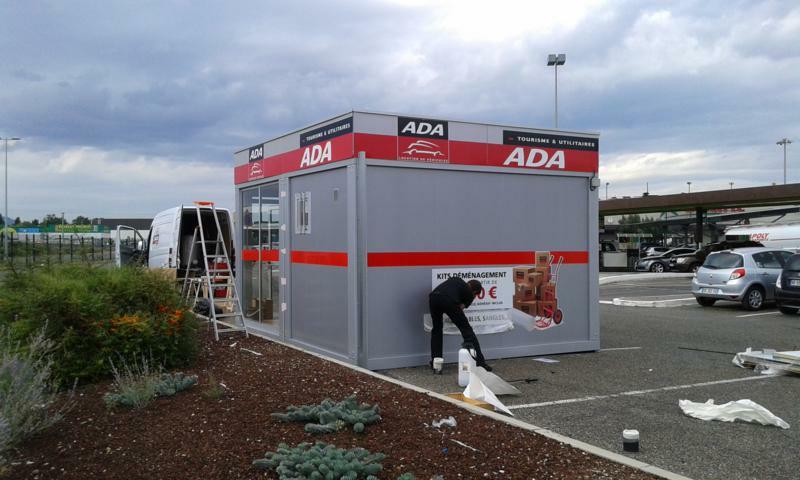 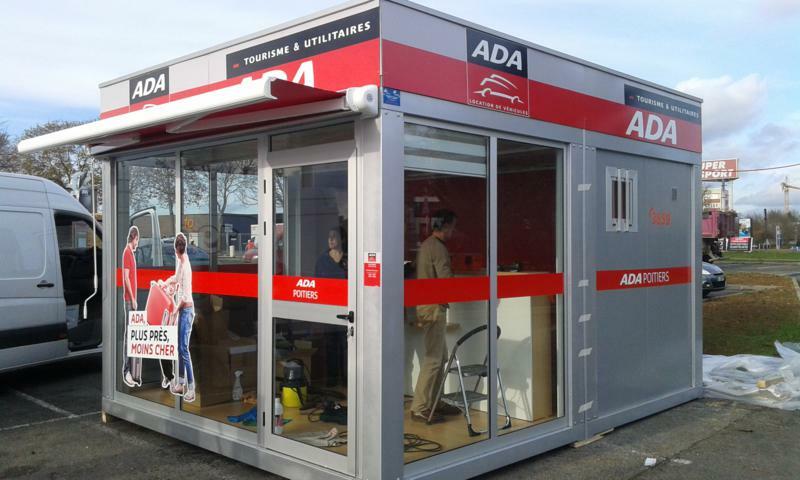 Our modular constructions are particulary recommended for all kind of companies that need a workspace, both temporary and permanent, installed in a short period of time and paying special attention to design besides safety and quality of materials. 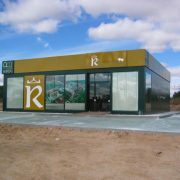 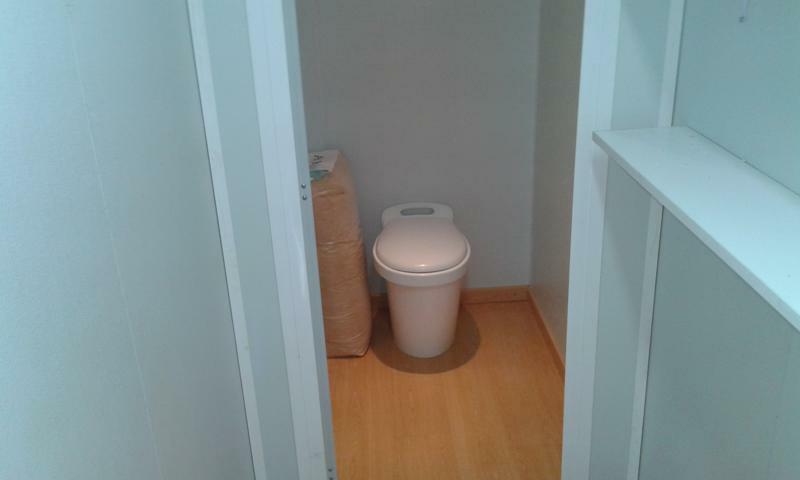 Our modular constructions are fully customized and the client could choose between a wide range of variety in materials and different levels of accessorization depending on the use. 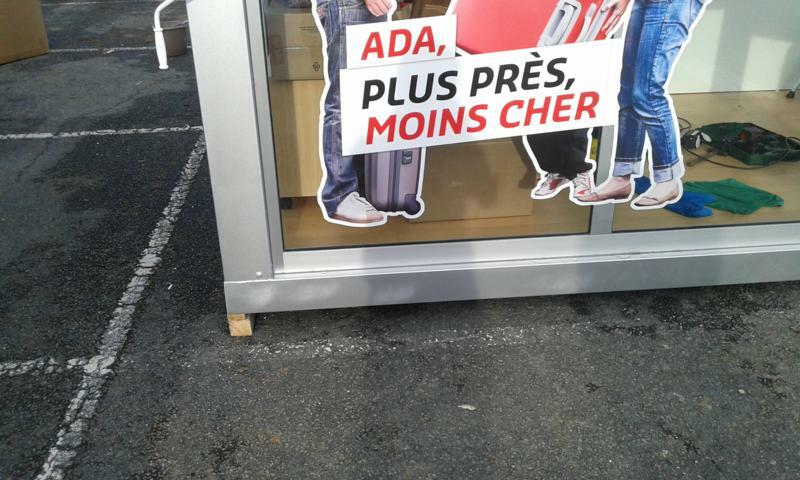 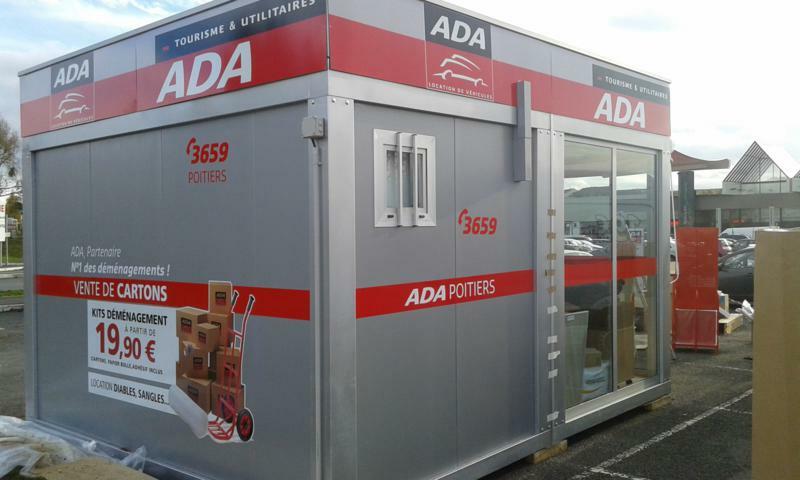 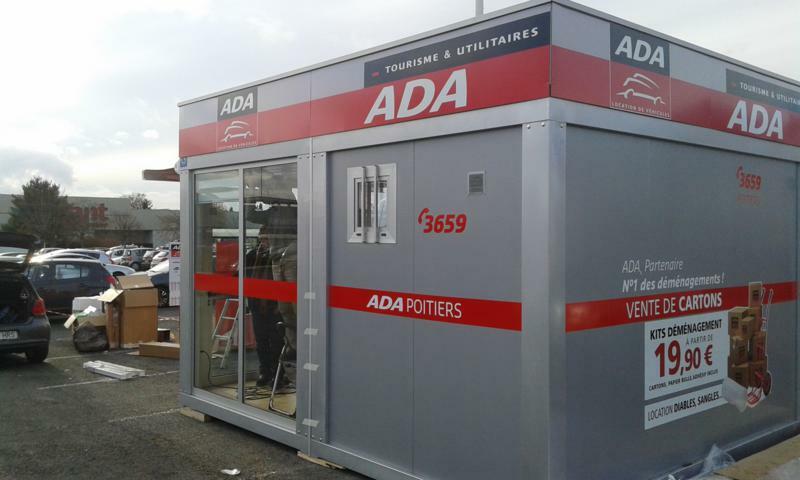 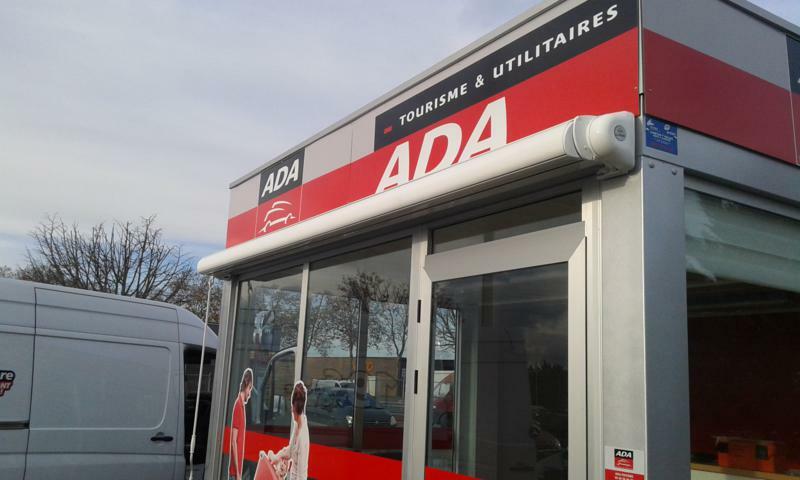 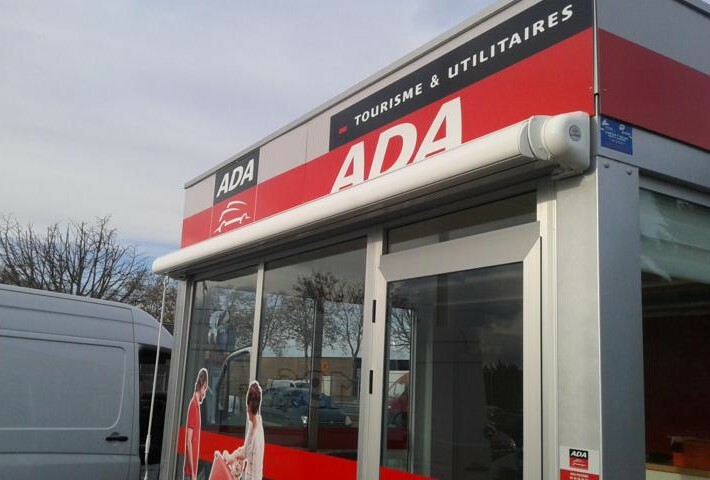 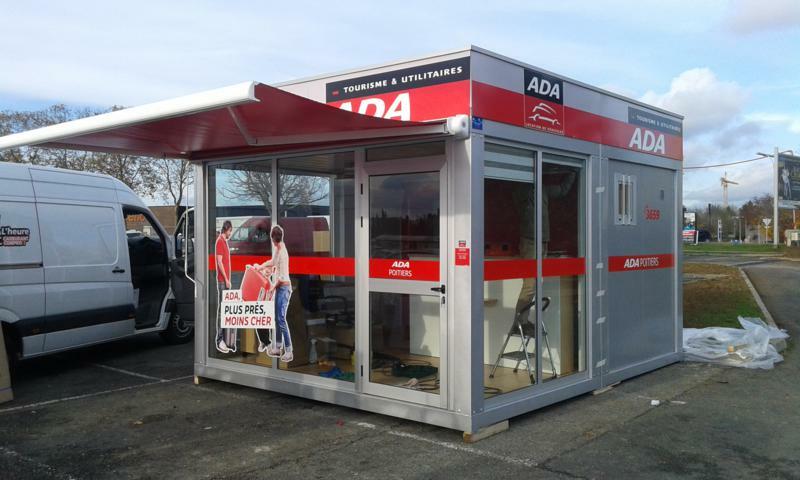 Here we offer an example of special modules manufactured for an important car rental company we are installing in different cities of France. 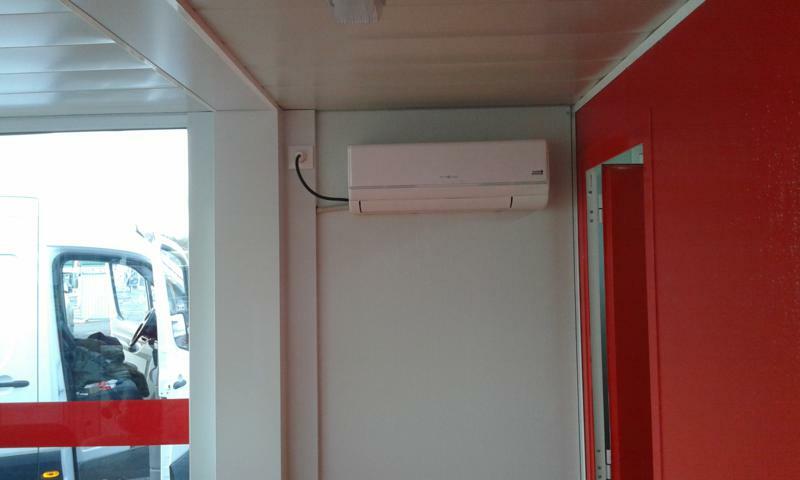 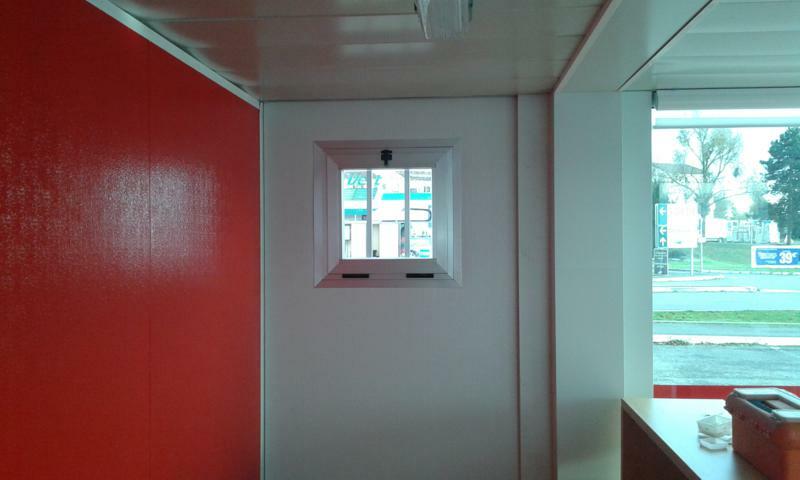 In this case, our client has selected special panels and structure painted in corporate colors, as well as additional elements (air conditioning, furniture, glazing…) that we also offer to give a complete service so our clients do not have to worry about anything. 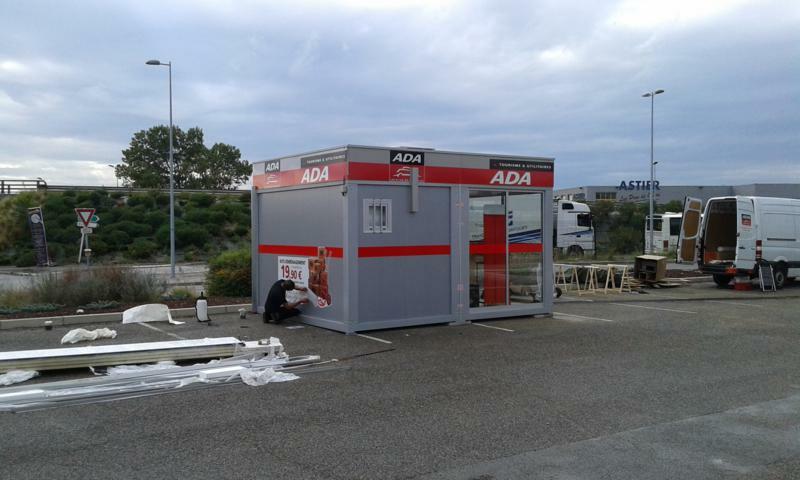 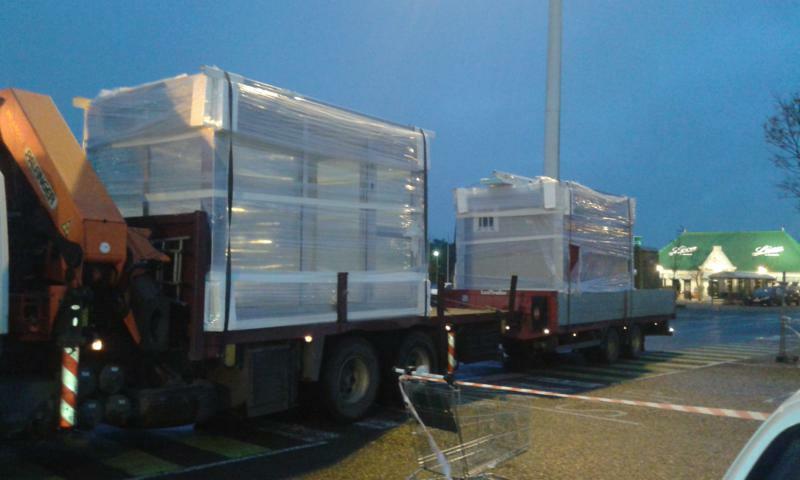 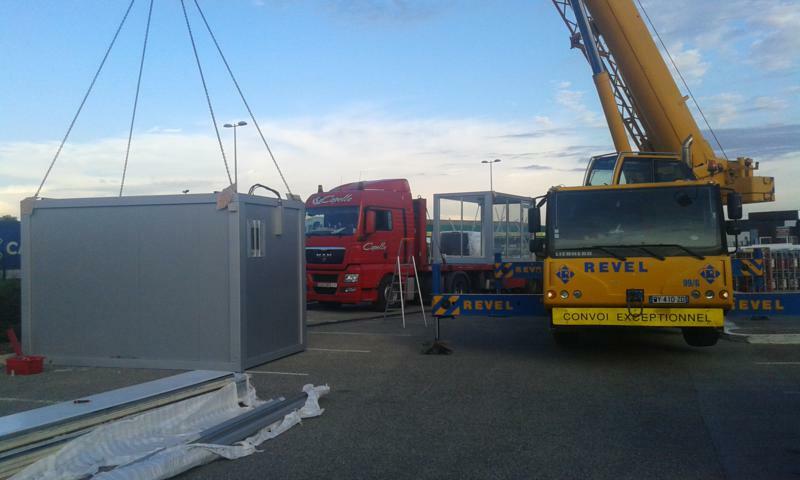 This company decided to use our prefabricated structures in all their new headquarters in France, considering the advantage that it is not necessary to anchored to the floor, which is relevant because most of the constructions are located in airport and stations car parks. 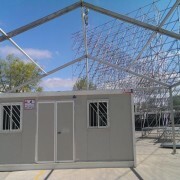 We plan the production and assembly of more than 50 modules in the coming months.